At St. Paul’s, we know coming to a traditional worship service can be intimidating, especially if you don’t know when to sit or stand or how to dress or what to say. If you want to worship, but you don’t know all the “protocol” of worship, then Thursday mornings are for you. 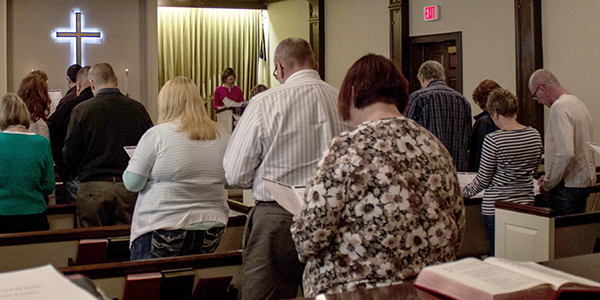 Our “Thursday Morning Worship” is an informal gathering, lasting about thirty minutes. Together, we sing, share in the reading and hearing of Scripture, celebrate one another’s joys, honor each one’s struggles, and rest in the love of our good God. We also have homemade cookies each week. Join us on Thursday mornings at 10:30 am in the Chapel!